Over 50 million patients in the EU and the US suffer from low vision, with costs of visual impairment in the EU alone estimated at over EUR 500 billion. The HELMHOLTZ project, which brings together two leading research institutes, aims at developing prototypes for new non-invasive imaging technologies for ophthalmology. These prototypes should help to treat age-related diseases such as genetic diseases, age-related macular degeneration, glaucoma or diabetic retinopathy. 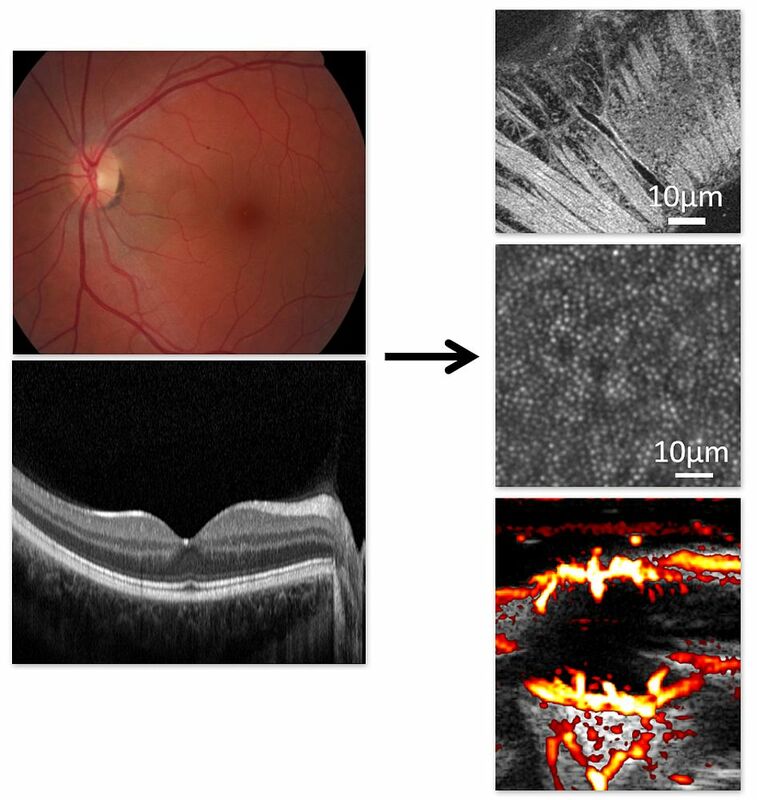 From current retinal imaging to cell and flow imaging. By using state-of-the art techniques, in particular the ultrafast doppler imaging, the team will provide 4D functional maps of the visual system, especially for the central part of the human retina called the “macula”. They will also explore the cellular structure of the eyes’ photoreceptors and the alterations in pressure and blood flow in the retina, the optic nerve and the choroid (a micro vasculature irrigating the retina). What makes this project innovative is that it merges the expertise of clinician-scientists on the one hand with physicists on the other. Initial trials are foreseen to test these new technologies against current methods. As the retina is “the most approachable part of the brain”, the group imagines that its results could expand to other research areas, such as neuroscience and the treatment of neurodegenerative diseases. European Commissioner for Research, Innovation and Science Máire Geoghegan-Quinn commented: "You have to take risks to get exceptional results. ERC Synergy Grants invest in remarkable research, bringing together top-notch scientists. These projects will push the frontiers of our knowledge. That’s exactly the type of science that we need if we are to make Europe more innovative and globally competitive."